When is the Metro Exodus release date? 4A Games has revealed a load of Metro Exodus gameplay details including more open levels, a new backpack system, and more. 4A Games’ atmospheric Metro series has consistently pulled off the difficult balance of being considered a cult classic, yet also wildly commercially successful. 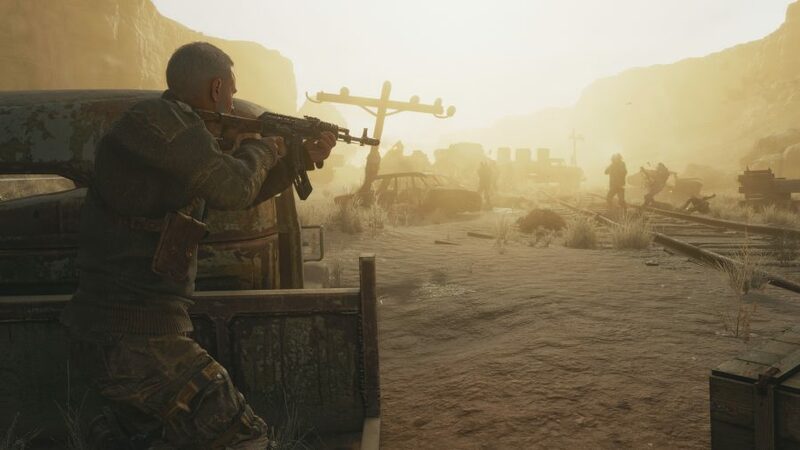 Artyom’s next foray into this ravaged world of bandits and mutants is, according to the studio, the most ambitious project 4A have ever attempted. Artyom and Anna return for this third installment which sees the now-married pair embark on a continent-spanning, year-long journey in a colossal locomotive. 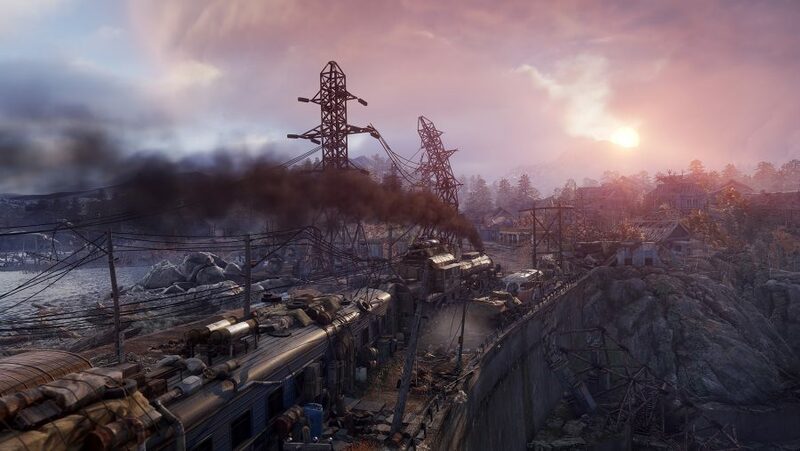 The train, which is upgraded over the course of the trek, serves not only as a method of transportation in Metro Exodus’ gameplay, but is also a makeshift home for the ever-growing group of ragtag survivors that you’ll pick up along the way. Ahead of Metro Exodus’ release date, there are plenty of new features to be excited about. There’s also a newly introduced backpack system for weapon and kit upgrades out in the field, new creatures to deal with, new factions to meet, sprawling open levels (don’t worry, there are claustrophobic linear ones to explore, too), and the promise of the most ambitious Metro story yet attempted in the videogame series. This is everything we know about Metro Exodus. It feels rather odd to say, but we’re quite happy to hear that we’ll be able to get into the post-apocalypse early. The Metro Exodus release date is February 15, 2019. We were ready to pack our bags and venture out to the wastes of Russia on the 22nd, but the launch time has been moved back a week. There isn’t exactly such a thing as a Metro Exodus open-world: its structure will remain pretty similar, segueing between linear sections and open areas. This time, however, Metro Exodus’ levels are 100 times bigger than Last Light’s – creative director Andriy Prokhorov tells us that the map for Echoes, the level from Last Light which features a crashed plane, was dwarfed when the team laid it on top of one of Exodus’s open maps. 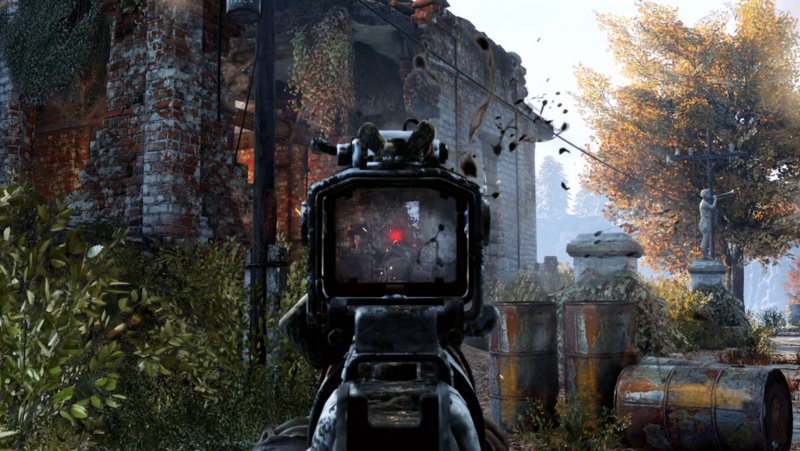 The claustrophobic ‘corridor shooter’ gameplay of previous games in the series is still present and correct, but is complimented by the broader Metro Exodus setting. In our first experience of Metro Exodus gameplay at E3 2018, we found that the game is all the better for exploring beyond the tunnels. And we’ve since played another slice of the game at Gamescom, experiencing a more focused – but still very open – level from later in the game. The mantra behind the design is ‘Stalker meets Metro,’ the upshot of which is that you’ll be able to explore these open areas at your own pace. Each section will be linked by more linear levels, and you’ll still find indoor and underground sections within them, so there’s no need to worry about an absence of tunnels – Prohorov confirms that there will be plenty of opportunities to visit the metro system. Exodus will take place across different cities and locations, visited during a year-long journey undertaken by protagonist Artyom. The nuclear winter has subsided, and now seasons are taking hold again, so there will be much greater environmental variety. We also get a Metro Exodus day/night cycle, which will change how your enemies behave and give you new tactical options in the field. For instance, foes will go out on patrol during the day, but will rest at base at night. That means bases will be quieter during the day, but you will be more visible. Another change is that there are now surface locations which aren’t irradiated (though the radiation hasn’t entirely subsided yet, so you will still need your mask and a bagful of filters in some areas). Since the world is so big, you’re going to need a way to get around. In Metro Exodus you’ll be making your way across the country in a large armoured train, named the Aurora. The team is thinking of this upgradeable Metro Exodus train as a “moving settlement,” and you’ll be accompanied on the vehicle by a small band of survivors from the outset. You can chat to NPCs and get new weapons or upgrade existing ones. You’ll start with just the engine, which has a cramped living quarters built into it. But over the course of the Metro Exodus campaign you’ll add more carriages and upgrade it. You’ll also pick up many more survivors along the way who will join your crew. The Metro games are masterclasses in tension, atmosphere, and environmental detail. This, according to the team, won’t change – 4A is working hard to ensure that none of Metro’s characteristics are diluted by the addition of larger locations and less directed progression. An overarching story will keep things on the move, even when you’re just exploring, and help to point you in the right direction when you’re not hemmed in by the comforting, rounded walls of a tunnel. When it comes to Metro Exodus’ gameplay, combat and enemy encounters will be more dynamic, as 4A has made significant changes to enemy AI and behaviour to accommodate the larger locations. Now enemies will wander about, and be more or less common within the game’s various biomes. The upshot of this is that we won’t all have the same experiences or encounter the same enemies while exploring. Something else that has been added as a result of the new large open areas is Metro Exodus’ backpacks. Linear levels allowed 4A to simply place a trader in a location before an almighty scrap, so the new system for Exodus allows you to maintain and upgrade your weapons and kit, as well as craft items, out in the field. Using it won’t pause the game, however, so you’ll have to be smart about when you choose to set it down. Probably best not to do so while surrounded by a pack of watchers, then. Metro’s weapons have always revelled in being slightly shonky and unreliable, but now you’ll also need to maintain them at workbenches through Metro Exodus’ weapon cleaning and customisation system. Keeping those pressurised weapons in good condition is key to making sure they don’t let you down during an inopportune meeting with a Dark One. Let the filth build up, and you’re playing with fire, so you’ll need to take the time to clean them whenever you find a workbench. Weapons also have five hardpoints to which you can attach upgrades such as barrels, compensators, and muzzles. While you can tweak your weapons on-the-go to an extent, you have many more options to upgrade your arsenal at workbenches. That said, there is no Metro Exodus bullet economy this time: rather than exchanging valuable ammo for upgrades, you will need to scavenge your environments for junk and chemicals to sell. There is also now a day/night cycle which changes the way encounters play out. Enemies might patrol an area during the day and hole up closer to base at night, for example. And if you tackle a task at night, then there will be many more opportunities to skulk in the shadows and hide from sight than if you try to move around unfriendly territory in daylight. The game picks up a little while after Metro: Last Light’s ‘enlightened’ ending, which the team considers canon. We’ll still be playing as Artyom, who is now married to Anna, but this time we’ll be setting out from Moscow and travelling East across Russia by rail in order to find somewhere safe to live. The world you’re trying to survive might be massive, but Metro Exodus’ story is just as ambitious – in fact, “story comes first”, according to the series’ creator. To fit a narrative that is the series’ most complex yet, Metro Exodus’ script is twice the length of Last Light, 2033, and of the DLC combined. New faces introduce themselves alongside a litany of returning characters to make the largest cast of characters the series has seen so far, though with no less ambition when it comes to portraying the close relationships the series has explored in the past. The Metro Exodus story trailer above and shows more of the beautiful train you’ll be riding, and some distinctly less attractive men you’ll be battering. This time it’s told from the perspective of Artyom’s wife, Anna, a top sniper who shares her husband’s belief in a world beyond the subterranean Metro. 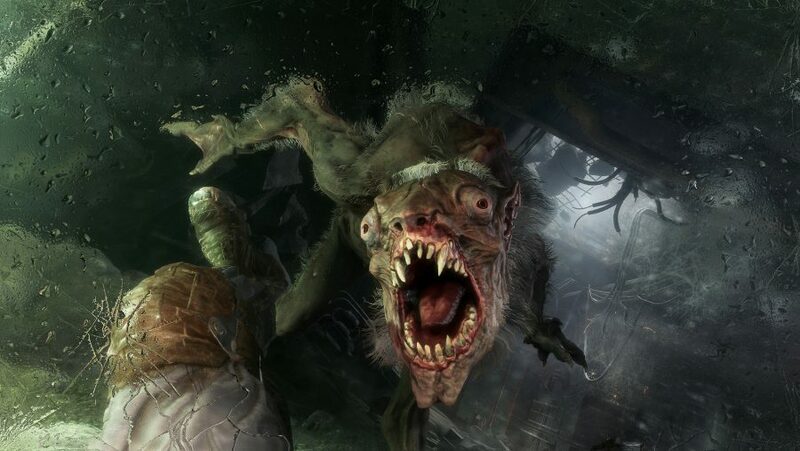 The Metro Exodus trailer from Gamescom 2018 shows off the horrors that await in the darkness. The game’s new day/night cycle will add even more variety and tactical depth than ever before. Artyom and his mates on the Aurora aren’t the only humans out there. We see our train home steaming its way to the Volga, one of the game’s gargantuan open areas. The Metro Exodus trailer from The Game Awards reveals more about the game’s story as Anna implores Artyom to rein in his forays into the Russian wastes. The first Metro Exodus trailer is the 2017 announcement one above. After our trudge through a snow-covered street and a typically dank tunnel, we get to see the game’s larger world which includes regions that have escaped the deathly haze of radiation. 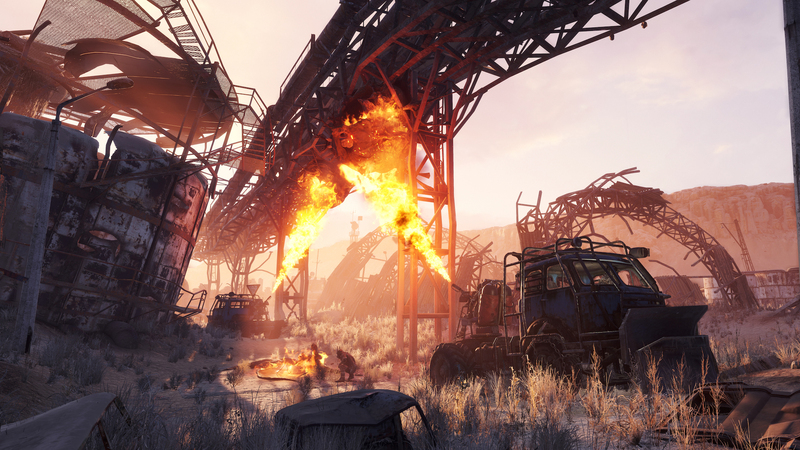 The Metro Exodus system requirements are hardly as tough as the ruthless post-apocalypse, so most rigs should be able to get it running just fine. If you get shot in the leg by a human enemy or mauled by a monster, we might not be able to say the same for you. And there you go: everything we know about Metro Exodus. Once again, Russia is shaping up to be a rather unforgiving place, so you might consider hardening your sensibilities with the best horror games on PC. Equally, you could sharpen your shooting skills with the best FPS games. In the meantime, we’re going to train ourselves by riding London’s underground trains over and over until Metro Exodus’ release date.